Last weekend I went birding. Not for long as the weather in Gatineau was wet and cool. However, life outside goes on. Last weekend was also a celebration of migratory birds across the Americas – International Migratory Bird Day. I head out for a short walk in Gatineau Park to experience the birds and talk about how I feel as a birder. Join me on my walk, learn about “pishing,” and see what happens. International Migratory Bird Day (IMBD) celebrates the 350 species that migrate between countries in the Americas. Canada likely holds the record for the country with the most migratory birds. It is estimated that every fall, 90% of our birds leave the country, the great majority heading south. Terns and shorebirds tend to go the farthest. The Hudsonian Godwit, for example, flies from its subarctic and arctic breeding grounds to Tierra del Fuego in Chile. Many songbirds also fly long distances to South America. Purple Martins end up in Sao Paulo State in Brazil. Bobolink’s non-breeding destination is the pampas of Argentina, Bolivia, Paraguay, Uraguay and Brazil. Blackpoll Warblers and Common Nighthawks make it to Brazil, and Venezuala. Veery, Swainson’s Thrush and Gray-cheeked Thrush also go to South America, as do several Flycatchers, Scarlet Tanager, and the iconic Canada Warbler. American Redstarts and Chestnut-sided Warblers spend their “winters” in Central America with many other Warbler species, Vireos, Yellow-bellied and Least Flycatchers, Orioles, and Whip-poor-will. Many species other than songbirds and shorebirds also have impressive migrations, including Peregrine Falcon, Osprey, Swainson’s Hawk, Blue-winged Teal and Green Heron. Over one billion Canadian-born birds over-winter in the continental United States, including some of our commonest species such as most blackbird and sparrows including the White-throated and White-crowned Sparrows, and most waterfowl. Take a moment to think about this. For some long-lived species, this migration would take them to the moon over the course of their lifetimes. 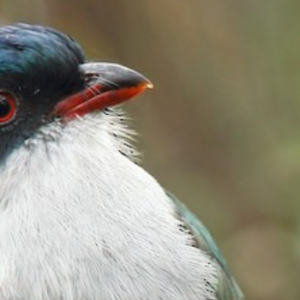 In addition to the amazing ecological services that they provide to all of the countries of their passages, these birds wow people with their beauty and their song. Birds inspire me for all of these reasons. They bring me happiness, and make me feel connected to nature. So fellow Canadians, get out and enjoy these most inspiring members of creation in the next week or so, and always remember to respect their lives and the rest of nature in your daily decisions.